As horseracing fans know, your ancestry is everything. The sport, after all, is based on dams and sires. 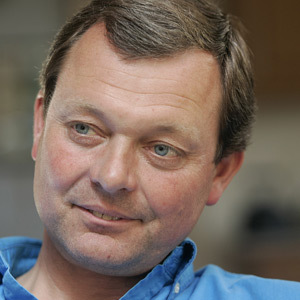 William Haggas does not do badly in this department, albeit indirectly, as the son-in-law of the legendary Lester Piggott. Haggas, though, is a hugely colourful and successful figure in his own right. Perhaps his biggest coup came in 1996 when he upstaged the biggest names of horseracing in guiding Shaamit to his Derby triumph. At the time, Haggas had just 40 horses in his charge. If things had turned out differently, Haggas might have followed his father into business. Instead the teenager ran for the exit after only three months working in his father’s textile factory, escaped to Newmarket, talked his way into a job and has been there ever since. Trained his first winner in 1987. Spent time under the wing of Sir Mark Prescott before branching out on his own. Has not been afraid to travel, winning the German 2000 Guineas and the Topkapi Trophy in Istanbul in 2005 and the Hong Kong Derby in 2009. The dream came true for him again in 2011 when he saddled Dancing Rain to win the Investec Oaks at Epsom, the second race in the QIPCO British Champions Series Fillies & Mares category, and so give him the remarkable distinction of maintaining a 100% record in the two Epsom Classics – the Derby-winning Shaamit was his only previous runner in either of the races. Dancing Rain proved his star of 2011, with the Danehill Dancer filly subsequently taking the German Oaks and the QIPCO British Champions Fillies & Mares Stakes. He went agonisingly close to a Series victory at Royal Ascot 2013 when Mukhadram got collared in the shadow of the post in the Prince of Wales’s Stakes and was then an unlucky third (should have finished second) in the Coral-Eclipse. He also came agonisingly close in when Harris Tweed was pipped at the post by a nose in the QIPCO British Champions Long Distance Cup. In 2014 he registered his first QIPCO British Champions Series victory for three seasons when Mukhadram won the Coral-Eclipse in brilliant style, before saddling him to come third in the QIPCO King George. 2015 began with a good return in the Investec Derby at Epsom Downs as his three-year-old colt Storm The Stars stayed on well behind two classy individuals to finish third.